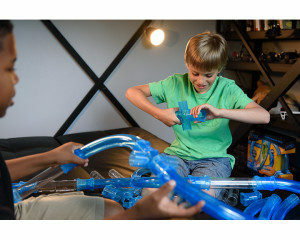 CRAZY BUILDS; the pipes can be configured and reconfigured with one or more loops or they can be built to go up the walls. 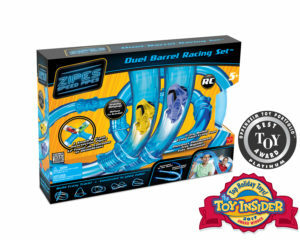 With the Zipes™ Speed Pipes Duel Barrel Racing set you will see who can build the craziest and fastest pipe paths. What goes faster? A double loop or pipes that go all the way up and down? On your marks, get set, GO!! Tell us when you have the answer. 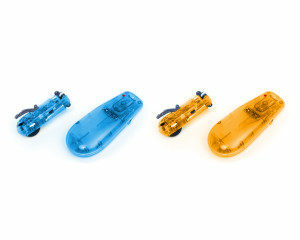 Vehicles are remote controlled and illuminated. Try racing in the dark for an awesome experience.